Could Medical or Psychological Records Be Admitted in a Florida Timesharing Case? Under American law, most prominently HIPAA’s privacy rule, a person’s health information is entitled to certain legal protections. Indeed, your medical and psychological health are presumed to be confidential. At the same time, Florida resolves all child custody issues under its ‘best interests of the child’ standard. What is best for a child’s safety and well-being takes precedence over other factors. This creates some inherent tension in many child custody cases. One parent may believe that their health records should be kept fully confidential. On the other hand, the opposing parent may counter that there is something in those records that is relevant to a child custody case. Here, our Orlando timesharing attorneys discuss how Florida courts address this core tension; specifically, when medical and psychological can be admitted into family court proceedings. Full information being available in a child custody case. Private medical information, psychological records and treating doctor testimony will not be admitted, unless it is deemed necessary. This means that private medical records can be admitted, but that courts would rather not do so if other options are available. In the Roper v. Roper case, the court declined to compel the wife’s psychiatrist to testify. Instead, the court noted that the wife could instead undergo an evaluation from an independent psychiatrist. Thus, with the information presented, there was no need to breach confidentiality to protect the best interests of the child. It is also important to note that Florida uses the ‘present ability and condition’ standard in child custody cases. This means that past indiscretions may not be sufficient to compel the admission of the other parent’s medical records. Further, past misconduct may not be relevant at all. 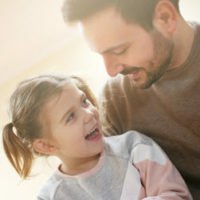 For example, if a person checked themselves into rehab for substance abuse ten years ago, and has had no relapses since, Florida courts are not likely to find that information to be very relevant to a child custody dispute. However, if there are current allegations or evidence of substance abuse, the court may decide to set medical privilege aside. Do You Need Timesharing Help in Central Florida? Our firm can help. At the Law Offices of Steve W. Marsee, P.A., we have extensive experience handling Florida child custody claims. From our office in Orlando, we serve individuals and families throughout the region, including in Lake County, Osceola County and Seminole County. To learn more about what we can do for you, please reach out to us today at 407-521-7171.